Going through a divorce can bring up a lot of negative emotions. You may be feeling worried about how you are going to manage things financially. If you are stressed about paying divorce fees, you should speak to a attorney. 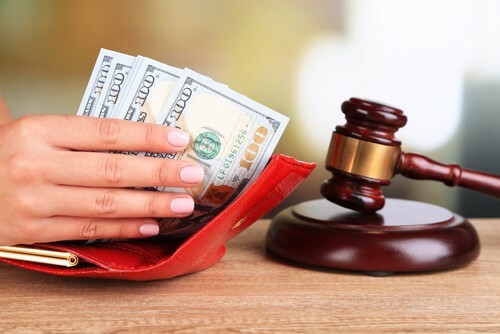 As a knowledgeable New Jersey Divorce Lawyer, many clients ask, “What is the cost of a divorce?” Again, this is one of the most difficult questions to answer. Most attorneys bill by the hour. Of course, there are filing fees that we pay to the court at the onset of the litigation, but it’s very difficult to predict at the onset of the litigation how many hours we’re going to spend on a case. It really is going to depend on how much time we spend negotiating versus litigating and how soon we can come to an agreement with the other side. That will determine the true cost of your case. As a New Jersey Divorce Lawyer, I get questions all the time from clients regarding ways in which they can control the cost of their divorce. Your journey through a divorce can be a very costly journey or can be a very cost-effective journey. These are questions that you need to ask your attorney at the onset of your process. At the onset of your journey you need to decide if there are ways that you can save some money if you send you something electronically versus hard copy or if you send multiple copies of the same document. Perhaps it’s back to a journal and keeping a list of questions so rather than calling your attorney three times a week with one or two questions, schedule one thirty-minute call with your attorney. You’ve kept a little notebook with your questions in it and in that thirty-minute phone call you can ask all six questions and get them answered and it’s one and done. There are many ways you can control the cost of your journey. It’s up to you, to have that frank conversation. If cost is an issue for you though have that frank conversation with your attorney at the onset instead. If you have concerns about paying divorce fees, please call our Jersey City divorce attorneys to schedule a free consultation.